In the past ten years research has definitively shown firewood to be a major pathway for the long distance movement of forest pests across the United States. Here in NH the Division of Forests and Lands has conducted many surveys and research projects and found over 40% of the out-of-state campers were bringing firewood from home. Transporting firewood from California, New York, Florida and other distant locations was common. Out-of-State firewood the Division has confiscated and studied has averaged 35 insects per stick of wood. Additionally the breadth of species has been amazing. Species from the smallest flies to the largest longhorn beetles have been found in firewood. Today all but five states have restrictions on the movement of out-of-state firewood or advocate limiting the movement. As of July, 2011 New Hampshire has banned the import of untreated firewood unless you meet the requirements for compliance agreements. Commercial operations wanting to transport firewood from outside of New Hampshire should contact Kyle Lombard, Forest Health Program Coordinator, NH Division of Forests and Lands at 603-464-3016 or Piera Siegert, State Entomologist, NH Department of Agriculture at 271-2561 for a compliance agreement. Compliance agreements will be issued to transporters bringing firewood to a heat-treatment kiln, or similar facility, capable of mitigating the pest risks associated with transporting and storing firewood. Firewood originating in New Hampshire but transported out-of-state for processing may be eligible for a compliance agreement to move the material back into New Hampshire if origin can be documented, and identity and security of New Hampshire-origin firewood is maintained in the processing yard. 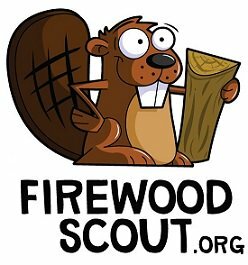 NH is on Firewood Scout, a searchable online database of firewood vendors. Check it out and buy it where you burn it!